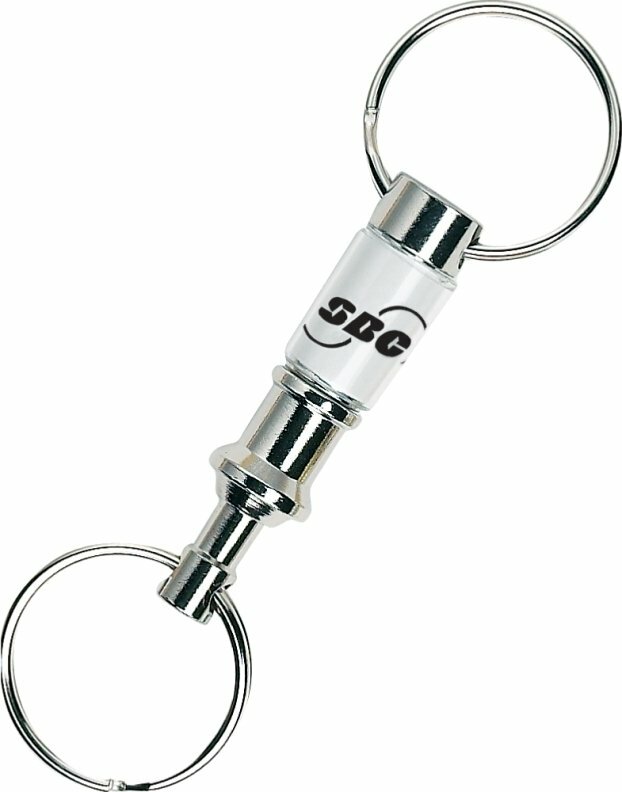 Original Pull A Part Key Ring is still made to quality standards, improved with 4CP printing. Separate house or office keys from car or truck keys for servicing, detailing or parking. The key ring is made from quality nickel plate metal, lens over logo, dual key rings. Overall size is fully extended 3 1/2" long. Bulk packed in carton standard. Rush Key Rings Factory Production is available. Price includes up to four color process printing in an area 1" w x 1/2" h.
Specify vertical or horizontal. Factory setup charge is $55.00. Logo does require Illustrator eps factory ready art file.